As Canada’s 150th year since confederation closes, the federal government must seize the opportunity to usher in a new poverty-free era, according to Campaign 2000’s 2017 report card on child and family poverty. The new report calls for Canada’s first Poverty Reduction Strategy to outline a new social contract that responds to the needs of today’s families and lifts individuals and families out of poverty. 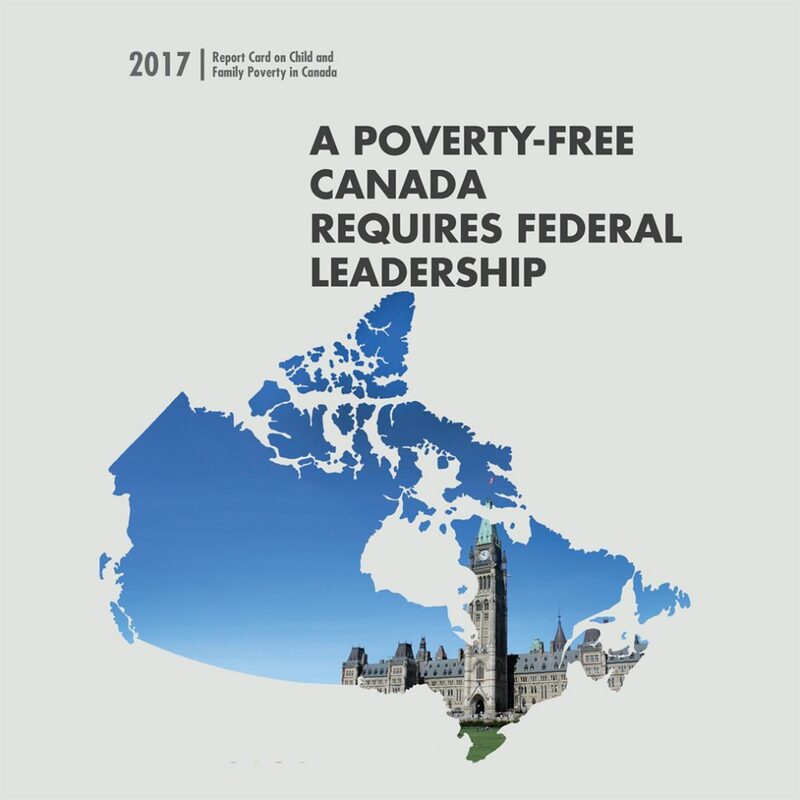 The 2017 national report card, “A Poverty-Free Canada Requires Federal Leadership” provides a current snapshot of the depth and breadth of poverty among children and families, outlines how poverty stalls children’s progress and potential and proposes practical policy solutions. In the report, Campaign 2000 recognizes the government’s actions to date to improve income security and anticipates the release of the National Housing Strategy. Campaign 2000 National Report Card on Child and Family Poverty, 2017 in English and French. Read the C2000 National Media release Nov 21 2017 and French C2000 National Media Release,2017 for our analysis and comments of the new national report card on child and family poverty 2017.